BBC Radio 5 live and Radio 5 live sports extra will be the home of all the major commentary action and reporting from the London 2012 Paralympic Games. All the key action from the Olympic Park will be on BBC Radio 5 live, with Radio 5 live sports extra providing listeners with additional coverage. John Inverdale will front the coverage across the day, joining Shelagh Fogarty for a special show between 12:00-14:00 on each weekday of the Games, and he will also bring listeners the best of the action during 5 live Drive and 5 live Sport. 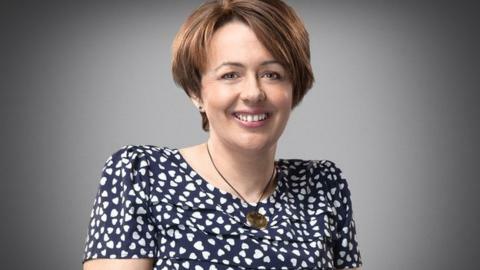 Paralympic gold medallists Baroness Tanni Grey-Thompson and Marc Woods will give their expert views on proceedings along with swimmer Kate Grey, who narrowly missed the cut for the London team. Double cycling gold medallist from the Beijing Paralympics Mark Bristow MBE will offer insight on cycling, along with Paralympians Alan Ash on wheelchair rugby and Caroline Matthews and Joe Jayaratne on wheelchair basketball. Presenter Russell Fuller will be among those leading the coverage on 5 live sports extra. Olympic swimming medallist Steve Parry and former 400m runner Allison Curbishley will give their opinions and analysis, while commentary will be provided by the likes of Mike Costello, Ed Harry, Simon Brotherton, Chris Mitchell, Philip Studd and Mike Sewell. In addition, the 5 live Breakfast Sports Desk with George Riley will be coming live from the Olympic Park each weekday. For the latest 5 live sports extra Paralympic schedules, go to the station's website. 19:00-22:00 5 live Paralympics - John Inverdale live from the Olympic Stadium.